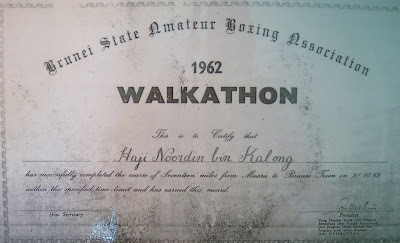 That was my late father's 1962 walkathon certificate. The 17 miles (27.2km) walkathon was from Muara to Brunei Town and was held on 28th October 1962. It was organised by Brunei State Amateur Boxing Association. I guess some of your fathers were not born yet at that time. At that time, my father's age was 38 years old and he already has 4 sons and 1 daughter.I was born 12 years after that. 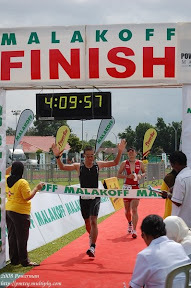 No wonder I like running so much, its in the blood.